The Health Department’s Infectious Disease Program works to track, prevent and control the spread of infectious diseases. 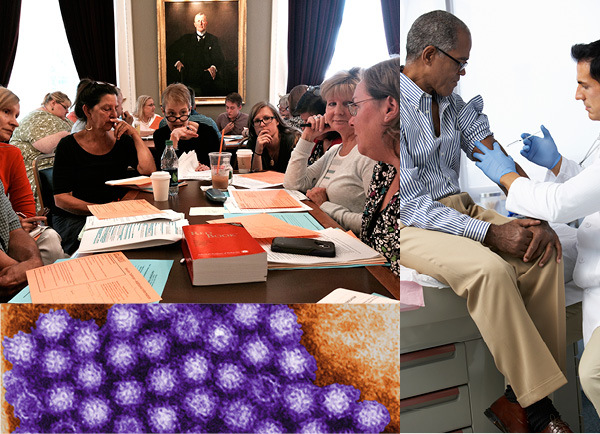 We get reports of infectious diseases or outbreaks in Vermont and investigate those cases. Investigations are done to determine the cause of illness or source of the outbreak, identify people who might benefit from preventive treatment, and put disease control measures into action. We also provide vaccines to health care providers for their patients, track infectious disease data to look for trends, educate health care providers and Vermonters about infectious diseases, and conduct epidemiological studies.